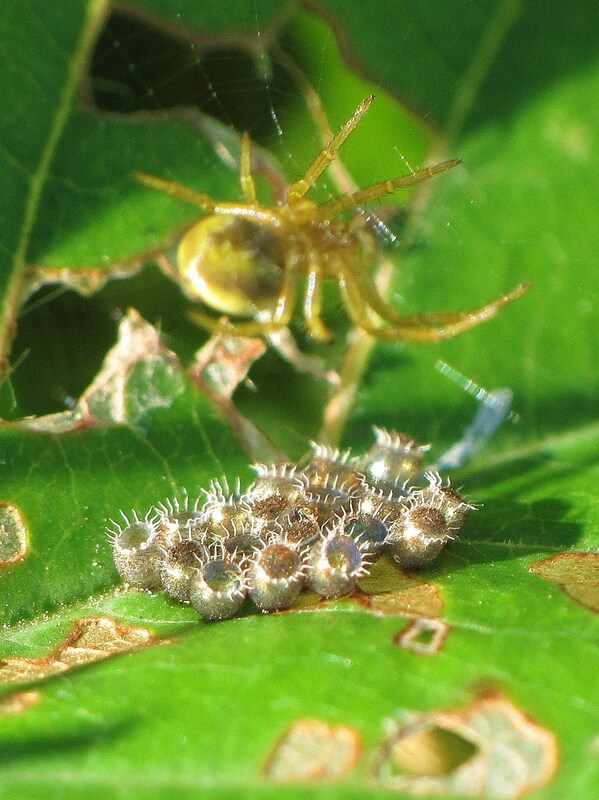 The eggs, however, don’t belong to the spider. The iridescent cluster was deposited by a predatory stink bug (Pentatomidae: Asopinae). Wow! Much shiny! They look like splashing drops of liquid, frozen. Makes me look at stink bugs in a new (non-stinky) light. They were truly beautiful, that’s for sure! Perhaps the spider is a future planner and is awaiting the hatching of the eggs for a handy little snack. These are gorgeous eggs, they look like something you would find in the depths of the ocean. 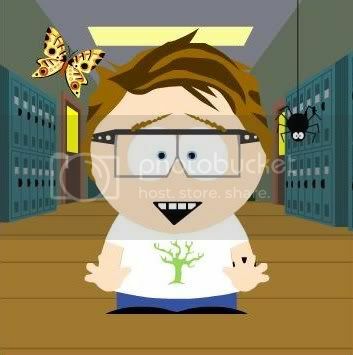 Very cool Geek! Nice spotting! 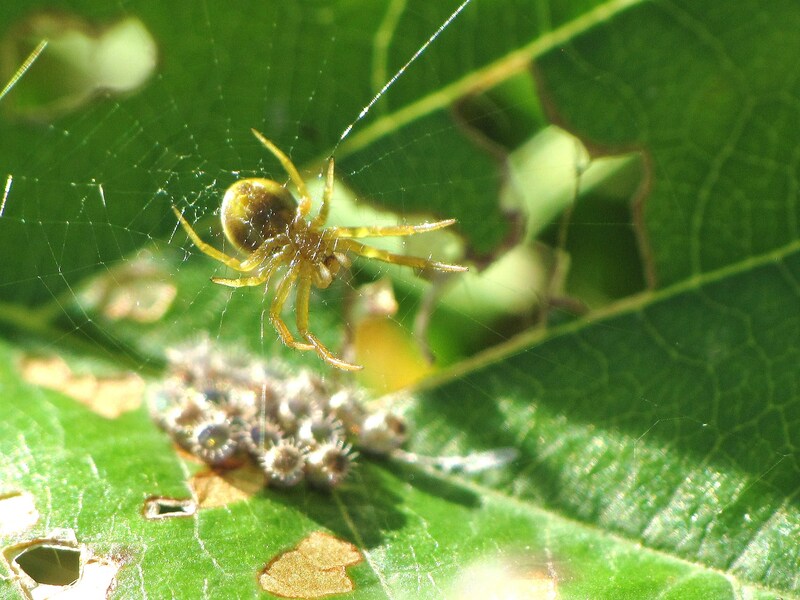 You should’ve saved this for April Fools Day and done a post on how cool it was that this spider was guarding her eggs (sounding all serious and everything). Okay, that would be mean! Ted, I am wounded that you would think I’m that devious 😦 No, seriously though, that’s a fun idea. Hehehehe…I’ll have to see if I have any other goodies like that!